In 1906 an iron-rich mass was found by a 10-year-old boy who tended cattle in the forest 3 km southwest of the village Kitkiöjärvi. 50 years later a larger 15 kg mass was recovered. Since then, additional specimens — including a 158 kg mass discovered in 2003 - have revealed a 25 x 15 km recovery ellipse in an Arctic region intersected by lakes and bogs. The description by Buchwald (1975) covering the first 3 masses (Muonionalusta I, II, and III) provides a broad overview of Muonionalusta's mineralogy. 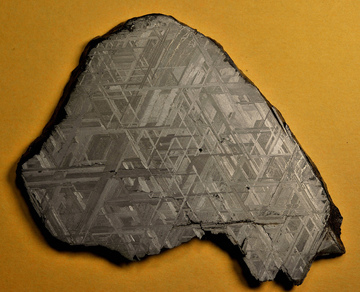 The original meteorite was a fine octahedrite which fragmented before reaching the earth's surface and has since been effected by the reworking of glacial ice of the last ice age. 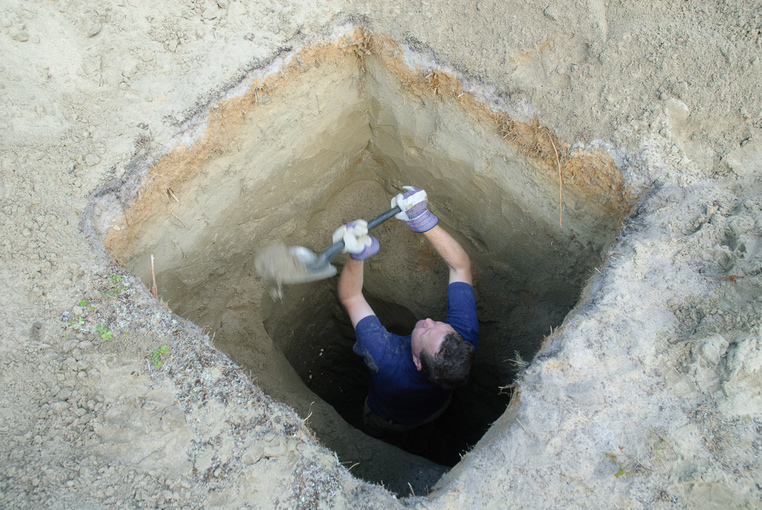 The major constituents — kamacite, taenite, troilite, schreibersite, and minor sulfides — are, of course, not unexpected in a IVA iron. The several associated weatherates (Akaganeite, Goethite, Lepidocrocite) offer an unusual opportunity to study the effects of long exposure to an unusual and extremely cold environment. With the recovery of additional species new findings have been reported. 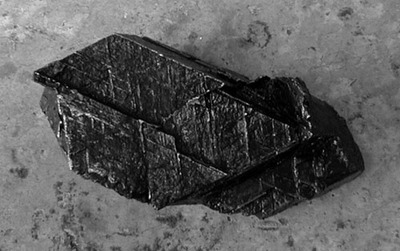 One of the new pieces discovered in 2001 — a 9.575 kg fragment found at a depth of 25 cm only 20 m from the site of the first find — contains stishovite apparently created in a preterrestrial shock eons ago. A recent Pb-Pb date from Muonionalusta troilite of ~4.565 Ga suggest a very ancient formation age for the IVA parent asteroid. Description: Very minor, but intriguing possible devitrification product. Reference: Holtstam, D., Broman, C., Söderhielm, J. & Zetterqvist, A. (2003) First discovery of stishovite in an iron meteorite: Meteoritics &Planetary Science 38 (11): 1579-1583. (Nov 2003). Krinov, E.L. (1961) Meteoritical Bulletin, no.20. Moscow. 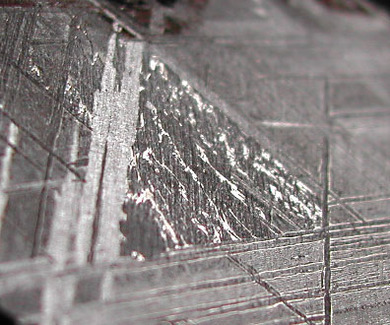 Krinov, E.L. (1963) Meteoritical Bulletin, no.28. Moscow. Lagerbäck, R. & Wickman, F.E. 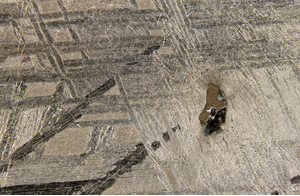 (1997): A new iron meteorite from Muonionalusta, northernmost Sweden. GFF. 119, 193–198. Holtstam, D., Broman, C., Söderhielm, J., Dan; Broman, C., Söderhielm, J. & Zetterqvist, A. 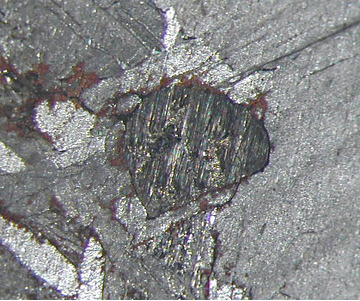 (2003): First discovery of stishovite in an iron meteorite. Meteoritics & Planetary Science (Meteoritical Society). 38 (11): 1579–1583. Blichert-Toft, J., Moynier, F., Lee, C.-T. & Albarede, F. (2010) Radiogenic Pb in Muonionalusta troilite and the Old Age of the IVA Asteroid :Lunar Planetary Science Conference XLI, LPI Contribution #1533, pdf.1127. (March 2010).